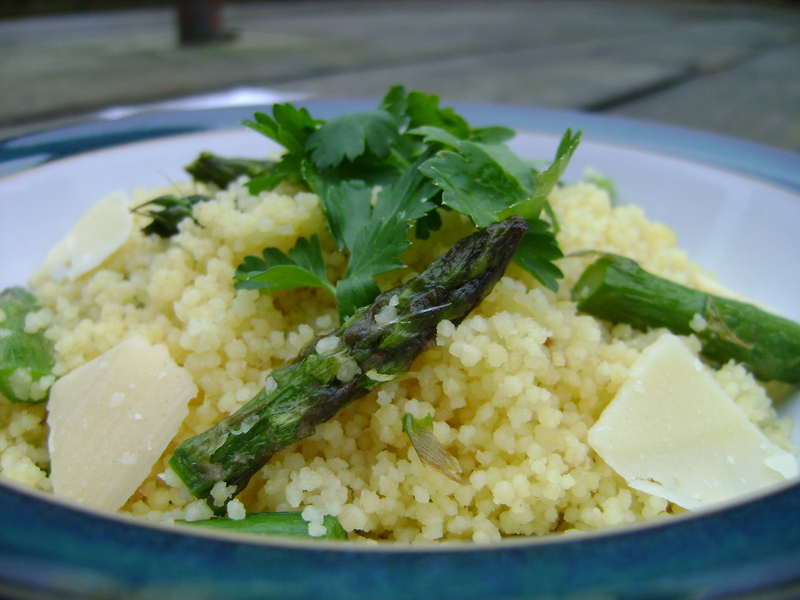 I really enjoyed testing Vanessa Kimbells recipe for Lemon and Asparagus Cous Cous. The very idea of this dish shouts Spring to me! With its zesty lemon flavour and fresh tasting asparagus its the perfect accompaniment to fish or chicken. It can be eaten hot or cold. I liked it as much either way. I served it with grilled chicken for a very sunny dinner during this cold winter we are having. Its absolutely delicious and very easy to make. The first 5 ingredients are also the ingredients for two other dishes using Vanessa’s linked recipe method making more than one dish with the ingredients to save you time. To see these recipes the book Prepped is due out this Spring. www.Prepped.co.uk I cant wait! 1 Prepare 500 grams of couscous according to the packet instructions. Stir in the lemon zest, butter, and Parmesan. 2 Discard 2.5 cm of each asparagus base and place the stems on a baking tray. Lay slivers of anchovies between the spears and drizzle any olive oil left in the anchovy can over the spears. 3 Grill for about 4 – 5 minutes. The aim is to be slightly firm. 4 Add the grilled asparagus to the cous cous, drench with lemon syrup and capers and mix lightly. Serve hot or cold.